Best In The Mix is a collective of hip hop minded individuals with varying tastes and views. In existence since 2008, BITM has always focused less on the negative aspect of rumors and drama and more so on the uplifting of hip hop culture. Initially created by a woman with an idea, The Niftian took over the reigns once @DONTSayYouLuvMe moved on to other ventures. She was responsible for the meat of the page, and bringing @The_Niftian on to write the highly popular Pioneer Series, which began with a history lesson on the Father of Rap, Kool Herc. After taking control of the site, The Niftian continued to post sporadically whilst also working on other ventures. Recently relaunched, #NiftyWorld made BITM the staple site in the time that it took to launch other pages, to include www.DoBetterMovement.org and www.NiftyWorld.net. Reaching out to fellow lovers of rap, The Niftian added friends to the lineup. TwonJonson, stayfly, Ra'z Al Ghoul, and the Irish Ninja round out BestInTheMix.com. 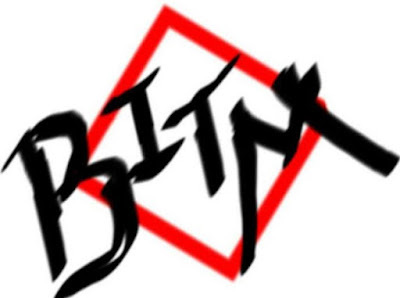 With focuses on album and mixtape reviews, artist promotion, social commentary and urban advice BITM is a premier site for the masses. In May of 2016, we finally launched the BEST IN THE MIX Podcast, which can be heard at https://www.soundcloud.com/bitmpodcast and https://www.youtube.com/user/BigTwonLT. BITM isn't a management company, but does provide promotion for little to no cost to artists, producers and DJs. The right is reserved to refuse service to anyone, regardless of (alleged) talent, networks (doesn't matter who you claim to know), or payment (we can't be bought). We have varying tastes and don't always agree with each other, but you can rest assured that the views that we have are real, they're respected, and they're guaranteed to get us, and you, to many positive places. BestInTheMix.com, a #NiftyWorld production, is the co-signed property of it's respective authors. Get on and get right or get left!